By an overwhelming vote, you approved the call of David Whiting to be our new Lead Pastor. David has been contacted by the Chairman of our Elders and he says, “Yes!” So, what can you and I do to prepare for our new pastor? David and Sue have lots of transitions ahead of them. David is leaving his current role. Pray for him to leave well. Sue and David will be relocating. That means saying goodbye to good friends. David isn’t coming to New Heights to run things. He’s coming to help all of us grow spiritually. Why not take some time right now to open your heart and ask God to show you where you need to take your next big spiritual step. If you knew God was going to be there for you…where would you ask Him to help you grow? Sometimes, during times of change, people adopt a “I’ll just watch and see” approach. But we can’t afford to let that happen. If New Heights is to continue to develop more and better disciples, each of us must look for new and fresh ways to contribute to this ministry. Maybe you start a fresh spiritual conversation with a friend. Maybe you investigate serving in a new ministry. Maybe you give God thanks with a special offering. Whatever it is, let’s step up to new opportunities! Current Senior Pastor, Matt Hannan, talks with Senior Pastor candidate, David Whiting. Senior Pastor candidate, David Whiting, speaking to the New Heights church family on the weekend of Dec 8 & 9. The story of New Heights isn’t about any one person, it’s a story of many people desiring to live out His story. What began with 22 people in the 50s has grown to the church we call home today. Along the way, God has used the people of New Heights to share the Good News of Jesus Christ with Clark County, the surrounding areas, and pockets of the globe in Asia, Africa and Europe. United in a call to “make more and better disciples of Jesus” New Heights has witnessed God work through different seasons of ministry and leadership. From a bus ministry in the 60s to opening a free medical clinic in the 90s, every chapter of the New Heights story has relied on the unique faith and gifting of the people who call this church home. With transition on the horizon, you’re part of the New Heights story. Just as the original 22 members stepped forward in faith, each of us now have the opportunity to step into this new season and continue making this a church that lives out His story. On April 11, 1954 in a small Vancouver neighborhood of McLoughlin Heights, 22 people assembled together with a simple vision to start a church that makes Jesus Christ known, obeyed and loved in their community. What they couldn’t forsee was the harvest that God was planting with their simple seeds of faith. With thriving ministries, it wasn’t long before they outgrew their facilities. Several families stepped forward in faith and remortgaged their homes to purchase our current 78th Street location from James Patton. On July 15, 1979 they broke ground at the new site, calling the church New Heights. The next three decades have been marked by the people of New Heights delivering a message of help, hope and home. Recovery groups for addicts, free medical care for the marginalized, summer camps for students, relational and financial support for missionaries abroad – every ministry aims to share the unreasonable love of Jesus. Overtime, New Heights grew; totaling four campuses across Clark County, and adding a latino congregation, Nuevas Alturas. With a new transition on the horizon, you’re part of the story. Just as the original 22 members stepped forward in faith, each of us now have the opportunity to continue making the New Heights story, His story. The Whiting family, from left to right: Morgan, Sue, David, Emily and Ali. David’s love for God and His church ignited as a young child, growing up in a Christian home in Des Moines, Iowa. In high school, God’s call on David’s life came into focus and he began to look for opportunities to serve in leadership roles at his church. Fast forward a couple of years, David was exiting seminary with a Masters in Divinity and a new companion … his wife Sue. 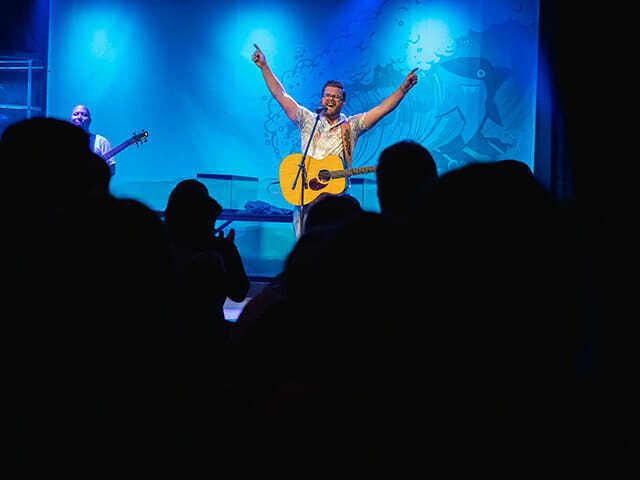 Initially serving as a youth pastor in Pennsylvania, David and Sue eventually found themselves in Rochester, New York at a long established church, with a new title – Lead Pastor. The church was over 100 years old, with attendance in the 200s and a congregation that was ready for momentum. David guided the church through monumental changes with vision that bears similarity to New Heights – even championing the same mission statement: “make more and better disciples.” His dynamic teaching and commitment to helping people find deep connections amidst a large congregation helped to set the church on a path of rapid growth. Eventually, growth led the church in a direction New Heights is familiar with … expanding to the multi-site model, expressed in four campuses. At the heart of David’s leadership is a desire to deliver the Good News of Jesus to lost people. David approaches the Bible as the guiding voice in his life, and his accessible and relatable teaching style allows others to do the same. He is passionate about teaching the Bible in a way that resonates, no matter where you are on your way to faith. Most recently, David has been at Vanderbloemen Search Group, helping churches across the country identify new leadership. The experience has been invaluable, exposing him to the ministries of a great quantity of larger churches. 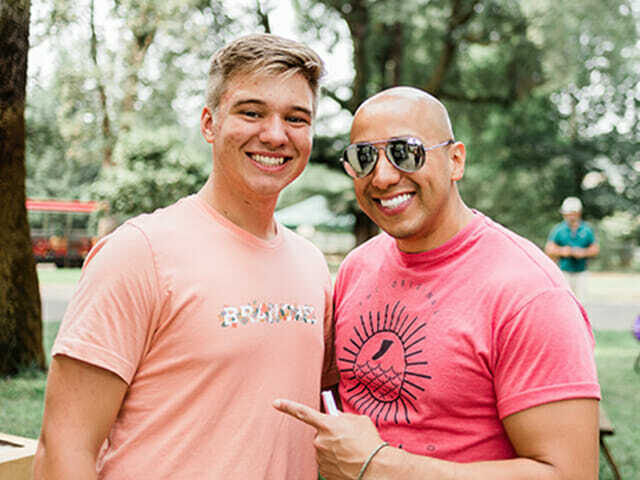 Along the way, David’s gotten glimpses of the many ways God is moving the Church forward as He connects younger generations to local churches. Last Spring, David arrived at New Heights as a consultant, ready to help us identify our next lead pastor. It wasn’t long into his conversations with New Heights Elders and staff that God began to stir in David a growing excitement over this church, and the call God has given New Heights to make more and better disciples. With each step of faith, God has made it evident to David and Sue that New Heights was a church they want to call home. David and Sue have three daughters, and just welcomed a son-in-law with the marriage of their eldest, Ali. Middle daughter, Morgan, is a college student and their youngest, Emily, just finished a year of chemotherapy, courageously fighting osteosarcoma. When we began this process, the Elders decided we wanted “together” to be a guiding word. Under God’s direction, it was our hope to work with Matt and the New Heights staff to identify a leader together. …someone who will bring new vision and direction to best achieve that goal. We believe God has brought David to New Heights for that purpose. February 2018 – Matt Hannan shares with all of New Heights that this is the year he will step out of his role as Senior Pastor. March 2018 – Seeking the input of a cross section of New Heights, groups of all ages and life stages are interviewed on what they see for the future of our church. March 2018 – Vanderbloemen Search Group partners with Elder Board and supplements search team. June 2018 – Elder Board invites several younger people from New Heights to participate in the search team, representing younger generations. October 2018 – Elder Board and search team thoroughly review top applicants and narrow their focus to David. November 2018 – David meets with several groups … New Heights Elders and search team, staff team leaders, New Heights general staff, and others, and is affirmed as the candidate. You may want to send your note of welcome to David and Sue!